One of my MOS students [seen below] received a gift from Netlearn Update cc this morning. The gift was handed over by Jenny Cole, CEO of Netlearn who flew down to Cape Town especially for the award. Claire was one of the South African Semi-Finalists in the recent Microsoft Office Specialist Championships held at Elkanah House. She received the acknowledgement of achievement for being top in South Africa for the Microsoft Word 2010 category. I look forward to working with her in preparation for the 2015 competition. Well done, Claire! An update on the Disneyland experience will follow this post. Had an absolutely awesome trip to Washington, DC with my two Microsoft Office Specialist Champions who represented South Africa for Word 2010 [Shaun Nothard], and for PowerPoint 2010 [Tshimologo Molefe]. Shaun and Tshimo were chosen out of 8 Semi-Finalists [all eight from Elkanah House and the only Semi-Finalists in South Africa]. 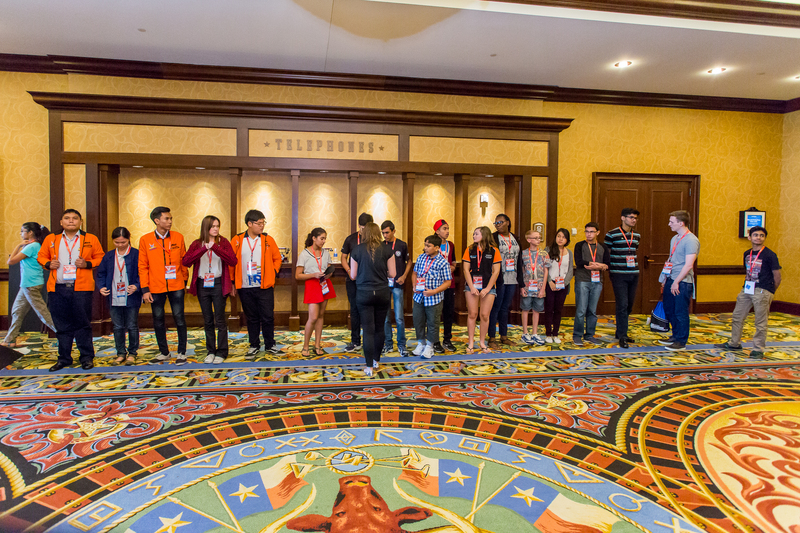 Both were sponsored a trip to Washington, DC to compete at the Microsoft Office Specialist Worldwide Championship for the World Title. Jenny Cole, CEO of Netlearn Update cc sponsored the event and I got to go as the trainer and chaperone. After a huge amount of preparation in the weeks leading up to our trip, we left SA on the 29th July. 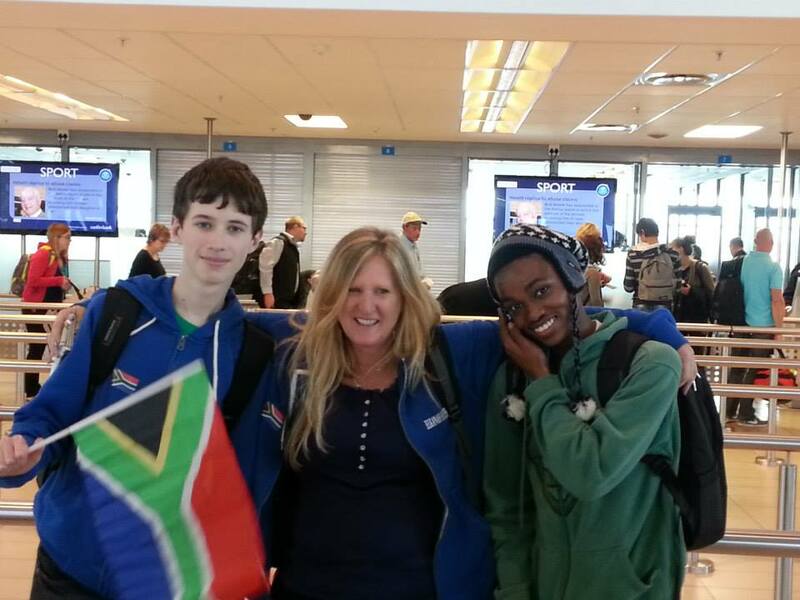 We met our sponsor, Jenny Cole, at OR Tambo as she flew in from Durban. After a two hour wait the four of us boarded the flight to Washington, DC. Eighteen hours later we arrived in Washington at 06h35 on the 30th July. Transport was arranged from Dulles Airport to the Gaylord National Resort in a black “pimp my ride” style SUV with a chauffeur. The hotel was so huge, beautiful and very posh. The boys shared a room and Jenny Cole and I the other. The afternoon was spent literally touring around the hotel as it was so huge! Walked down to the waterfront area and found the American shop where some shopping occurred! Had the most amazing doughnut I have ever tasted! That evening we were treated to supper on the waterfront after which we collapsed into slumber land. On the Wednesday morning the boys and I could not wait to get down to the 4 course breakfast! OMW – to explain just would not suffice…see pics! Visit NetLearn Update cc – http://www.netlearn.co.za – to find out more information about the business as well as the News Flash on the MOS Competition. If you are interested in Microsoft Office Courseware, then visit this page to see my published courseware. Certiport (http://www.certiport.com), a Pearson VUE business, is the leading test delivery solution provider for the global workforce and academic markets. Certiport hosted the event at the hotel. From the moment we met the staff we felt such a friendly, supportive and enthusiastic vibe. Everything was professional and organized so impeccably. They surrounded us with an awesome experience of competition, and incorporated history throughout our stay. 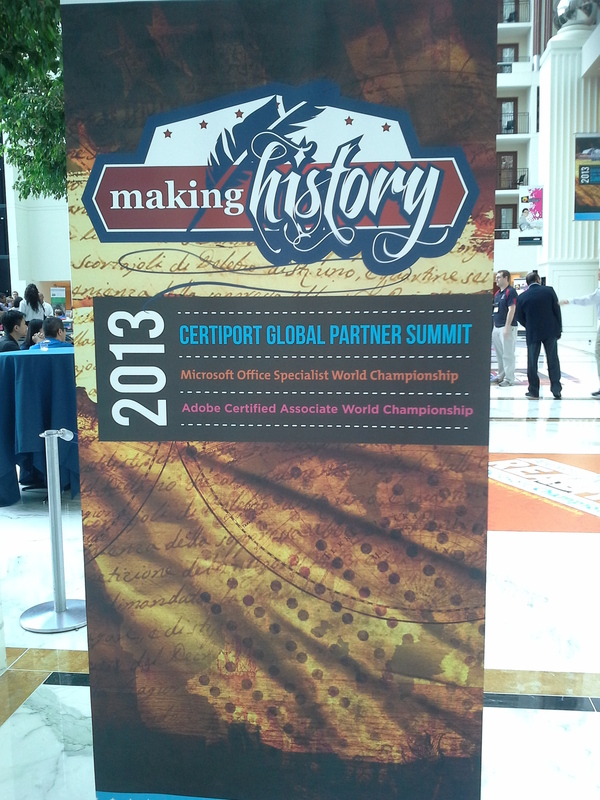 The theme for the entire event was “Making History”. 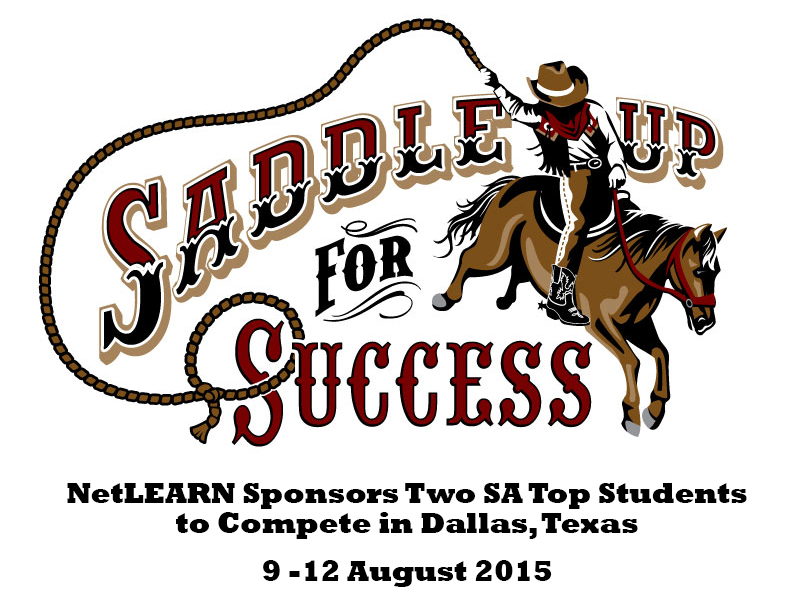 The MOS Competition registration took place on Wednesday 1 August. Students collected their Certiport MOS backpacks and a few other goodies. On Thursday morning the candidates congregated in the student lounge to view their exam slots for each version of Office as well as for the Adobe Competition. Throughout the day, testing took place at the various conference venues. This portion of our experience was certainly extremely beneficial to us in order to plan for the coming years. The buzz, excitement and camaraderie outside the test venues were an involvement on its own worth travelling for. We learnt so much from other candidates and trainers on the trip. Our children did wonderfully considering the time frame in which we had to prepare against other countries who have been in the know how for many years. We represented South Africa – AND were the ONLY candidates from South Africa to compete at the MOS 2013 Competition! The experience is a win in itself! Congratulations to my two students, Shaun Nothard and Tshimologo Molefe. As a teacher and trainer I have benefited from a wealth of knowledge from other candidates and chaperons as well as from my two students [which could never happen in a classroom once a week!] We also learnt that we need to start working the moment we land for the 2014 competition and are very eager to explore and enter for the Adobe Competition. Candidates were all bused to the mall around 09h00 am on Friday morning, after breakfast. All candidates and chaperons congregated for a group photo on the lawn before the Washington Mall group treasure hunt. Mall maps were handed out, a $25 gift card for lunch or souvenirs as well as a MOS Championship T-shirt for everyone. The meeting point was at 19h00 at the Air and Space Museum. Certiport booked out the entire Smithsonian Air and Space Museum for exploration and dinner on the Friday evening. To end off the evening, we were treated to an IMAX movie. That afternoon, we spent 10 hours walking the Washington Mall! Video footage was taken of our two superstars! It was an honour for our two champions to be include in the 2014 Video Announcement for the Microsoft Office Specialist Worldwide Competition! Check out our Elkanah House superstars in the promotional video for the MOS Worldwide Competition 2014 in Disneyland! Cannot wait for next year having the privilege of experiences under our belt! 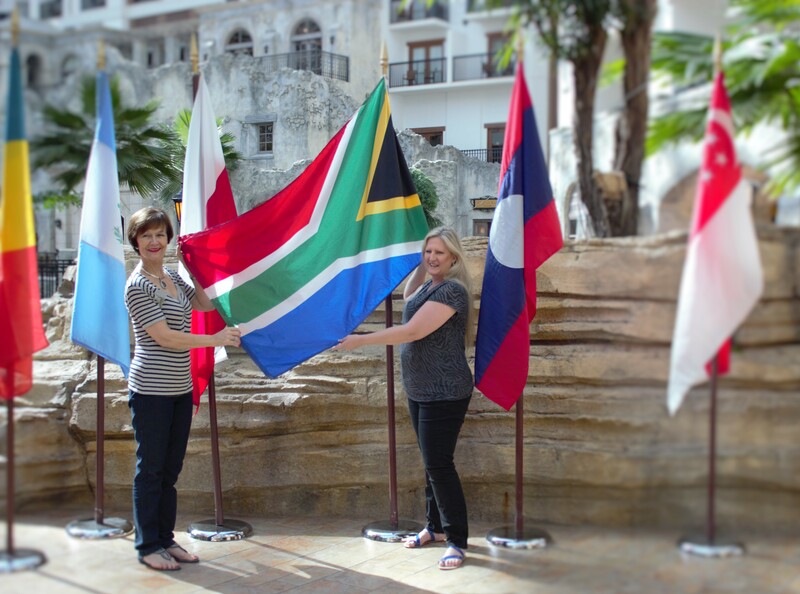 See our two SA Champions go up for their awards announcing proudly South African! Click “Open in New Window” to display the app full screen. Jenny Cole from Netlearn Update cc, as a roomie, sponsor and for affording me this opportunity to grow. My two brilliant students, Shaun and Tshimologo, who gave me a very exciting time and put up with the “frog” [only you will know what I mean J]! And a VERY special mention to Mr Joe Banda from the Department of Home Affairs for going above and beyond the call of duty to get ID and Passport documents in order for visa appointments in a very short space of time. I will never forget your personal touch and for understanding our predicament. If you have read this post and wish to know more about the MOS competition / ADOBE Competition and what it entails, please contact me via blog comment or twitter. I am very proud to announce that Elkanah House has produced 396 Microsoft Office Specialists to date. We have 161 Word Specialists, 234 PowerPoint Specialists and 1 Excel Specialist. Congratulations to students who achieved Certifications during the recent examination period, and to those students who were extremely motivated and wrote before the official exam slot. I would also like to congratulate those students who attended tutorials, took the Certification seriously and who never gave up! The number of students who gave up their time, in addition to the hectic homework load, on a Saturday to attend tutorials and write exams really made me extremely proud. The MOS exam is by no means an easy pass for the children. One really needs to be able to tap full features and functionality of the Microsoft® Office 2010 suite. It is also a benefit if the child has a good command of the English language and be able to complete the exam in 50 minutes, both of which is addressed throughout the training process. A passing score of 700 out of 1000 is required to achieve and gain certification in one of the Specialist programs. The average exam score for our students overall is 82%. Students receive training during one academic lesson per week. The required programs for certification at Elkanah House are Word 2010, PowerPoint 2010, Excel 2010 and a choice between Outlook 2010 and Access 2010. Some students prefer to attain certification in both the latter. 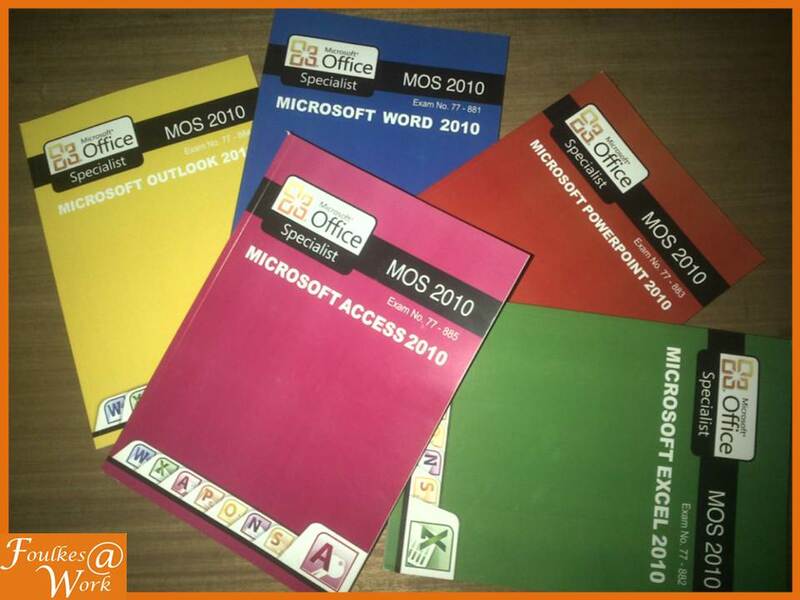 Microsoft Office Specialist (MOS) 2010 is a valuable credential that recognizes the desktop computing skills needed to use the full features and functionality of the Microsoft® Office 2010 suite. MOS 2010 promotes academic preparedness and workforce readiness for the student. The need for Microsoft Office skills is increasing dramatically as more and more academic institutions and businesses are embracing newer technologies. Microsoft Office Specialist (MOS) certification will enable students to advance academically and start their careers with proven Office 2010 skills. Elkanah House is a Certiport authorized testing centre. Shaun Nothard achieved over 90% for Word and PowerPoint Specialist exams and over 88% for the Excel Specialist exam – Shaun, a Grade 9 student, is the highest achiever of the number of exams thus far! Congratulations, Shaun. A big “way to go” to Emma King, also a Grade 9 student, who scored 1000 out of 1000 for the Microsoft Office Specialist Word 2010! We are hoping to enter the World Wide MOS Competition early next year and look forward to many more achievements over the next year! 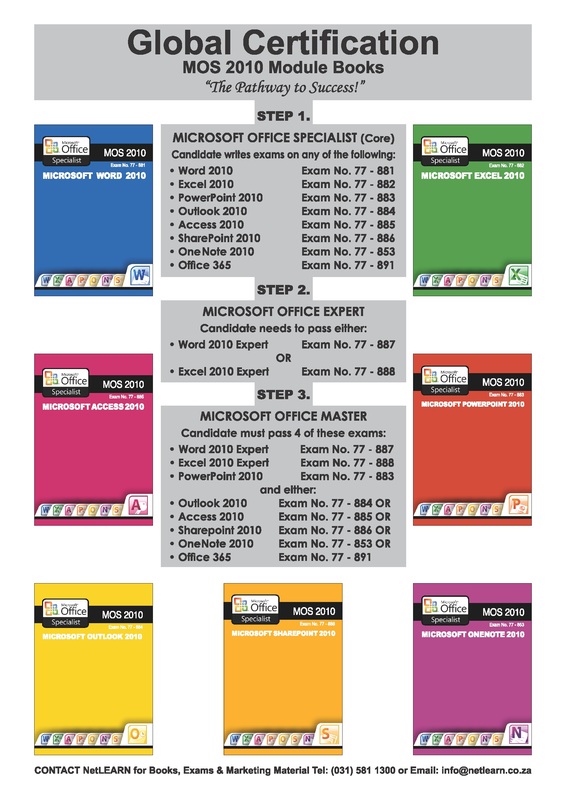 MOS Certification is definitely the certification of choice having been exposed to other certifications on the market, the Microsoft Office Specialist product comes out tops in terms of course content, outcome and program exposure to students, administration, testing, professionalism, support, and a high [yet attainable through hard work and dedication] standard and being recognised as the end user certification of choice world wide.